My wife has been off work for over a month now, having suffered with a bizarre chain of (what's been summarized as) infections (UTI, sinus, ear, then kidney?) which (western medicine felt) impacted her blood cell counts/levels. I believe in the end they labelled her with pancytopenia, basically an autoimmune condition to our understanding. and the Testimonial – Female Hormones: Finding Balance post introduced options to control hormonal imbalance / estrogen dominance... namely DIM (diindolylmethane) for specific estrogen leveling and Calcium D-glucarate which would also help to find balance through detoxification. Before we did anything ourselves, we thought it might be a good idea to seek a Naturopathic Doctor. This experience ended up being short lived, but not before we at least had a saliva test which should have told us about her endocrine / hormonal system. Hence the reason behind the ended ND experience, low/no result interpretation. We left knowing only that her cortisol levels were high in the morning and in the evening. Need to eat much more organ meat, the more the better, and of various types (not just liver). We will be following the Autoimmune protocol for a while and placed an order for the DIM (diindolylmethane) and Calcium D-glucarate, which should be arriving in the next couple weeks via Amazon. 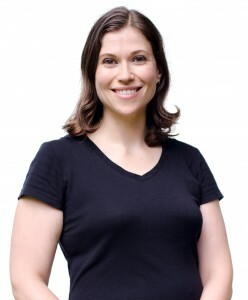 Sarah Ballantyne is the author of the autoimmune books we purchased and has more information on her Paleo Mom website. Thank You Robb & Sarah for providing our inspiration behind good health and healing! I woke up Monday morning to a dead battery in my car. In hindsight, I realize it had slowly been dying over the past couple weeks... the "turning radio off to conserve battery" every time I shut off the car was saying it loud and clear. Luckily my local dealer validated that the battery was faulty and replaced it with a new one the other day... but my Drone didn't fully recover. I wasn't getting all notifications any more, nor the GPS location updates. The dealer was stumped, so I opened a support ticket today with Drone, explained what happened, and they reset something from their end (I think it was the module in my car) which put everything back into working order. If this problem happens again, I would suggest visiting the dealer so they can confirm what port the DroneMobile device is plugged into. An important nugget to keep track of moving forward me thinks! We'd been having issues with our existing front load HE Maytag washer since December, but it wasn't until some recent diagnostics (failed bearings) that Ashley's told us they'd rather we picked out a new washer instead of fixing ours and gave us an in-store credit. We walked into the store to pick out new top load HE Maytag two days ago, and it's already delivered and in place today! The delivery men advised us not to use it until tomorrow as it had been on the truck since last night... and any water still inside from the factory would likely be frozen. Best to let the unit completely thaw before turning it on. Good thinking! I'm quite pleased by how easily our warranty experience was handled, and how quickly we were back in business with a new washer. The only money we chose to pay was to add extended warranty to the new unit... awesome! Read about Michelle on her nomnompaleo.com website; which also includes a wealth of other Paleo information and recipes. After finding that the impressive 1 mile range of my CompuStar Remote Start & Alarm meant nothing in the denseness of the tall city buildings (I'm guessing all that steel in the way); I gave myself a late Christmas present by having the Drone Mobile installed as a companion to my PRO 2-WAY 901. I've owned my Xerox Phaser 6180N for a few years now, and obviously I am not a huge ink consumer since I have only ever had the factory cartridges that came with the unit until my black started running out over the past week. In fact, I still have 80% toner in one of the colour cartridges, and 60% in the other two. But I found it hard to convince myself to buy official Xerox replacement ink when the cost of it was so close to the original purchase price of the printer... ummm, no thanks. I'd rather buy a new printer at those prices. So I started looking online for alternatives and eventually found TonerOnline.ca. What I appreciated the most was their no hassle warranty and the excellent conversation I had over the phone... looking to get more comfortable with purchasing "generic". Obviously they said everything right as I decided to place my order for an entire set of colours, not just the black I really needed. They happened to have a little sale on, and I do like to capitalize on sales... especially at these prices! After almost two years of owning my Ford Fusion, and having a credit with my local dealer (Birchwood Ford), I finally bit the bullet and decided to go with an aftermarket system I was familiar with. My thought originally was to wait and install the Ford Access product, but it wasn't looking like they were going to release it for my 2013 model. My dealer's assurance to warranty the install helped to clinch the deal, which netted a sweet $0 purchase after applying the credit I had... making it a Merry Christmas to me! I'm going to enjoy my PRO 2-WAY 901!